As many already know, alternative dispute resolution (ADR) is a common feature in today’s civil litigation. The goal of ADR is to assist litigants in resolving their disputes without the need for a full-blown jury trial on the merits of an action. ADR can take many forms, including arbitration, mediation and early neutral evaluation. One form of ADR that never seemed to gain traction in most jurisdictions, however, is the “summary jury trial.” (See, Thomas B. Metzloff, Reconfiguring the Summary Jury Trial, 41 DUKE L.J. 806, 806. (1992).) 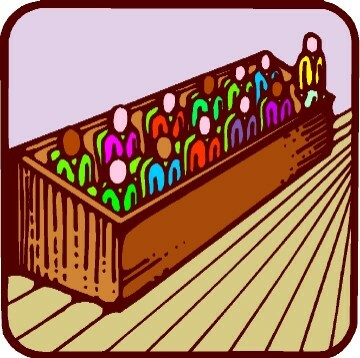 Typically, a “summary jury trial” involves a smaller number of jurors impaneled to hear cases with a lower dollar value, and the proceedings are usually limited to a short period of time (e.g., less than one day’s trial time). Ordinarily, both sides must agree in order to submit a case to such a procedure. One jurisdiction where “summary jury trials” have been used in some civil matters is South Carolina. You will find a law review article entitled Summary Jury Trial in Charleston County, South Carolina in the Box, which discusses the use of this ADR procedure in South Carolina. How Will Summary Jury Trials Work In California? Under the Act, the parties to a civil dispute must agree to submit their case to this procedure; they cannot be compelled to submit their case to the procedure. Their case will be heard by a jury of eight jurors (or fewer in some circumstances) with no alternates, and six of these jurors must agree on a verdict. Counsel will be limited to three peremptory challenges. Each side will have no more than about three hours in which to present their cases. They must waive their right to appeal an adverse decision or to make certain other post-trial motions. Finally, expedited jury trials will typically involve “high/low agreements”, a written agreement entered into by the parties specifying a minimum amount of damages a plaintiff is guaranteed to receive from the defendant and a maximum amount of damages that the defendant will be liable for regardless of the ultimate verdict returned by the jury. Like many states, California has a severe backlog of cases percolating through the judicial system. Many of these are low-value cases. The proponents of the Act contend that the procedure has the potential to drastically reduce the cost of such litigation as well as relieve the court’s docket. What do you think? Do you think ADR is a good idea in general? What about “summary” or “expedited” jury trial in particular? This entry was posted in California, courts and tagged Alternative dispute resolution, California, Civil law (common law), Jury trial, Law, Lawsuit, South Carolina, Summary Jury Trial. Bookmark the permalink.